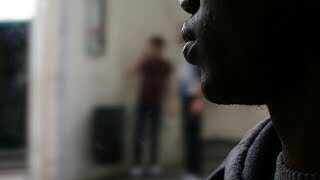 (Paris, July 4, 2018) – Child protection authorities in Paris are using flawed age assessment procedures for unaccompanied migrant children, excluding many from care they need and are entitled to, Human Rights Watch said in a report released today. Hundreds of these young migrants find themselves homeless, often condemned to sleep on the streets of Paris. The 57-page report, “‘Like a Lottery’: Arbitrary Treatment of Unaccompanied Migrant Children in Paris”, found that arbitrary practices can lead to unaccompanied children being erroneously considered adults, leaving then ineligible for emergency shelter and other protection given to children. Many youths who request protection from the child welfare system are turned away summarily and inaccurately, based on appearance alone. Others are rejected without written decisions after interviews lasting as little as five minutes, contrary to French regulations.